Click for more product Application and Safety Information. 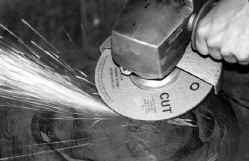 Use aluminum oxide wheels for grinding and cutting most ferrous metals. These are premium grade wheels for the toughest applications. ALUMINA ZIRCONIA - High performance grinding. 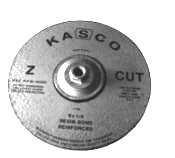 ZCUT zirconia wheels are designed for industrial grinding using strong power tools. They are comparable to the NorZon type wheels. Use our C16-LBF spec for grinding concrete, masonry, brick, and nonferrous metals.